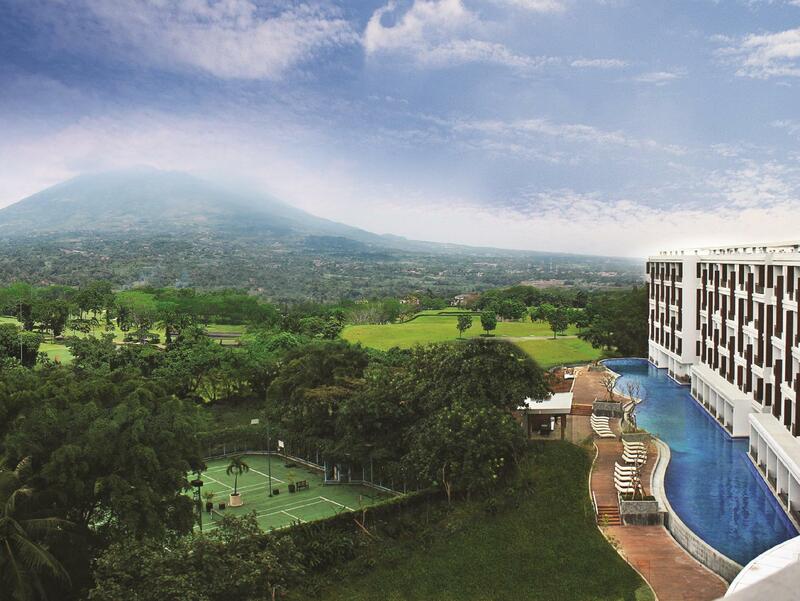 The Santika Hotel is located in Bogor making it one of the best hotels to stay at while in town. The Santika Hotel is located in Bogor making it one of the best hotels to stay at while in town. All the modern facilities are available in all of the hotel's 153 rooms. All of the guestrooms are replete with non smoking rooms, air conditioning, desk, in room safe, television LCD/plasma screen, shower, mini bar. The amenities and services offered at this Bogor accommodation include 24hr room service, shops, executive floor, laundry service/dry cleaning, meeting facilities. Hotel's guests can experience on-site latest leisure and sports facilities such as massage, outdoor pool. Being one of the good quality hotels in Bogor, guests staying at this hotel will find its convenient location and tranquil atmosphere pleasurable. To book a room easily at the Santika Hotel, please submit your travel dates and proceed with our secure online booking form.